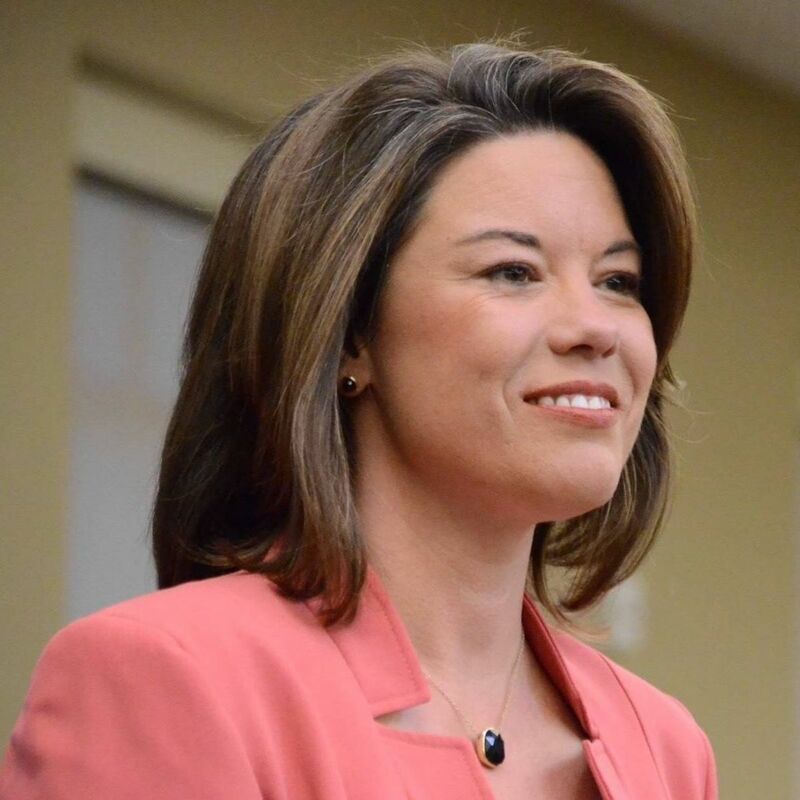 We're excited to announce that Rep. Katherine Clark will be speaking at the breakfast fundraiser that we're hosting next Tuesday, June 19th for two of the congressional candidates we're supporting: Chrissy Houlahan (PA-06) and Dan McCready (NC-09). We'll also be co-hosting an opportunity next Thursday, June 21st to meet the candidates running for state representative in the 15th Middlesex District. See the MI Happenings and Upcoming Events section for more details about these events and make plans to join us! 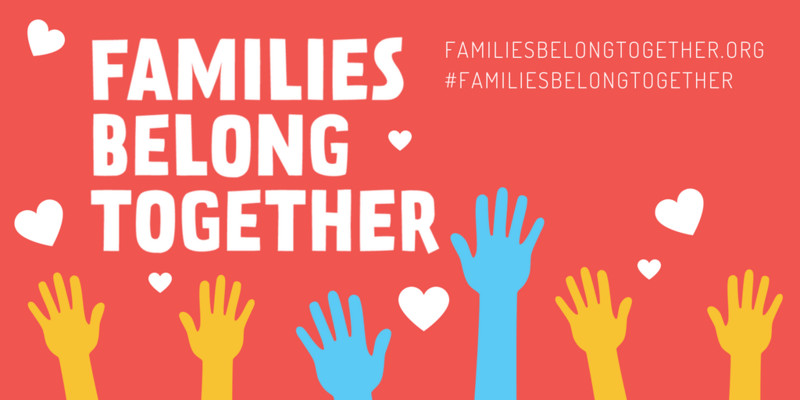 If you're appalled by Trump administration's actions to separate immigrant families, see the Morning Coffee Actions section for steps you can take to help keep immigrant families together from contacting legislators to attending a rally at the State House this Wednesday, June 13th. This week's Muster also has actions to help prevent gun violence, and get big money out of politics and reports about two rallies and a meeting with state legislators last week. Hope to see you at some of our events and team meetings over the next few weeks. Countdown to the Nov. 6, 2018 Midterm Elections: 146 days! Last month, Attorney General Jeff Sessions announced a policy change: the Justice Department would do their best to prosecute every adult who crossed the border illegally, even if some of them were legitimate asylum seekers. When a parent is arrested, the children are immediately taken into custody and “put in foster care or whatever,” as John Kelly said. Please contact your MoCs and tell them these policies and actions are inhumane, do not represent who we are as a nation, and must be stopped. Want to do more? See the next item below for steps to take here in MA and check here and here for lists of other actions you can take. Late last month, the MA Senate voted for Senator Jaime Eldridge's amendment #1147 to the Senate FY2019 budget. The amendment contains these key provisions of the Safe Communities Act to protect immigrants: bars police from asking about people’s immigration status unless required by law; ends 287(g) contracts between county sheriffs and ICE that deputize them as immigration agents; requires that immigrants be notified of their due-process rights; and ensures that Massachusetts does not contribute to any registry based on religion, ethnicity, citizenship, or other protected categories. A conference committee is meeting now to reconcile the difference between the Senate and House budget (which does not include these provisions). Please call your state representative and ask them to go to Speaker DeLeo and House Ways & Means Committee Chairman Jeff Sanchez to make sure these provisions end up in the conference committee's final budget. See this link for a sample call script. You can also sign this letter online here and/or come to a rally at the State House this Wednesday, June 13th at 10:30 AM. Get more details here and in the Upcoming Events section below. Last week, the MA Senate passed the Extreme Risk Protection Order (ERPO) bill that enables guns to be taken away from someone who poses a danger to themselves or others. The Senate bill includes several amendments to the version passed by the House in May so the legislature has to reconcile these differences before the measure can go to the Governor. Please contact your state legislators and ask them to urge their leadership to move quickly to resolve the differences between the two ERPO bills, and then call the Governor (617-725-4005) to ask him to sign it when it reaches his desk. 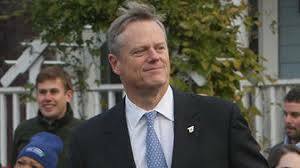 Granted, it was a dated quote, but in a recent Boston Globe article Representative Katherine Clark is quoted as giving Governor Baker a "respectable B+" and calling him “hard working” and “a really nice guy." He might be hard working and he might be nice BUT he provides little or no contact with his constituents - no town halls, no meetings, an empty public calendar, and response letters that are sub-par. His comments about vetoing the SCA provisions if they're included in the budget is disturbing for a state that attracts people from all over the world. And one only has to look at the performance of the MBTA to know that Governor Baker is not doing the best for residents of this state. Call Representative Clark and ask her to update her comments about Governor Baker. Get Big Money out of Politics - Make Sure This Issue is on the Ballot in Nov.
We helped People Govern Not Money gather enough signatures last fall to clear the initial hurdle to get a question about the 28th amendment on the MA ballot this coming November. They have only a few more days to collect an additional 5,000 signatures from outside of Middlesex county. You can see a list of places where they are already planning to collect signatures here and volunteer to help out using this link. Not able to collect signatures? You can also help by making a secure donation here. Please also mark your calendars for the evening of July 7th for a Dance Party to celebrate and support the ballot question. Click this link to enter our Minuteman Muster reader contest and be eligible to win a $15 gift card. 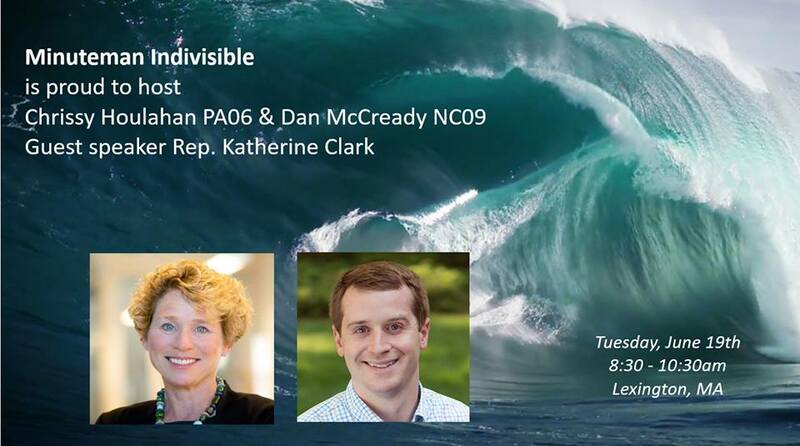 Join us for breakfast and meet Dan McCready (NC-09). and special guests Chrissy Houlahan (PA-06) and Rep. Katherine Clark. Hear about his race for US Congress and how he plans to fight the Trump agenda. Dan is a Marine Corps veteran, small business owner, husband, and father of four. He has been endorsed by RedtoBlue led by our US Rep. Katherine Clark, US Rep. Seth Moulton, VoteVets, End Citizens United and many others. Minuteman Indivisible is supporting his campaign in our effort to flip the House. Suggested donation $50. (Please give more if you can, and come anyway even if $50 is more than you can spare right now.) We want everyone to learn about and get excited by this great candidate. RSVP here. Please donate online using this link. We will also be accepting donations the morning of the breakfast. Hope to see you there! . Minuteman Indivisible is proud to be co-hosting an opportunity to meet the Democratic candidates running in the 15th Middlesex District in conjunction with Representative Jay Kaufman's public policy forum, Open House. Those seeking to represent the district, which is comprised of Lexington and Wards 1 and 7 in Woburn, are Michelle Ciccolo, Matthew Cohen, Joseph Lahiff, Mary Ann Stewart, and William Sweeney. Please join us on Thursday, June 21st to hear the candidates who’ve qualified for the September 4th Democratic primary explain their positions and answer audience questions. Last week, several MI members met with State Senator Cindy Friedman and Rep. Jay Kaufman during their monthly office hours at the Lexington Community Center. 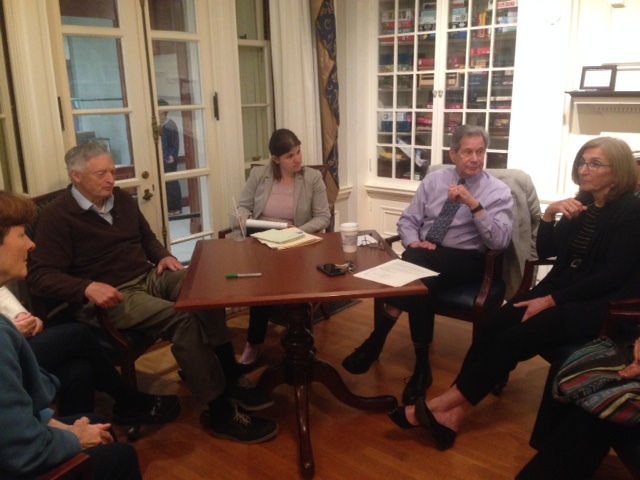 We discussed the current status of climate legislation at the State House and were joined by several other citizens who came to share their thoughts on a variety of issues currently before the legislature. We learned that the Senate Ways and Means Committee will probably release the Clean Energy Omnibus bill this week and the full Senate is likely to approve it, but the House will probably enact only a small part of it. We discussed the need to change the membership of the House to make substantial progress. House leadership, Governor Baker, and the need to deal with immediate issues such as healthcare and housing also contribute to the lack of progress on climate legislation. We should ask legislative candidates to commit firmly and specifically to our legislative priorities. 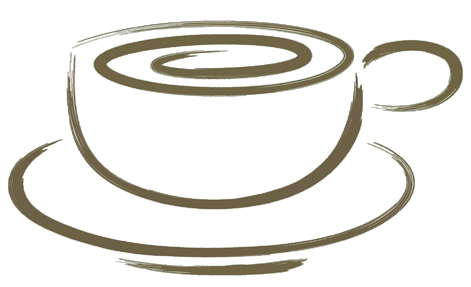 Going to monthly office hours with legislators is a very good idea--they appreciate it. Senator Friedman and Rep. Kaufman hold office hours in each of the communities they serve and post the schedules on their websites. 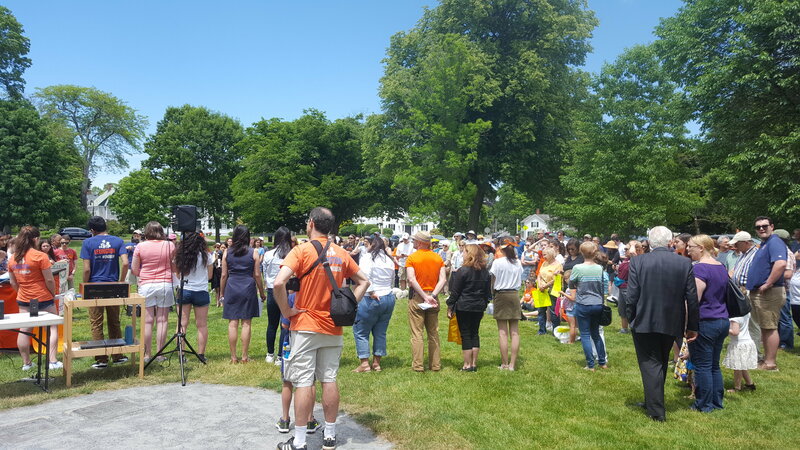 Last Sunday, MI members attended the Lexington Says #Enough rally for gun violence prevention on the historic Lexington Battle Green. Approximately 200 people gathered to hear student activists from Lexington, Bedford, and Somerville; faith leaders from Temple Emunah and First Parish in Lexington; and representatives from community organizations including Lex Pride and the Chinese American Association of Lexington. There were also opportunities to register or preregister to vote, "action stations," and a group photo. See videos, news coverage, and more photos of the event here. 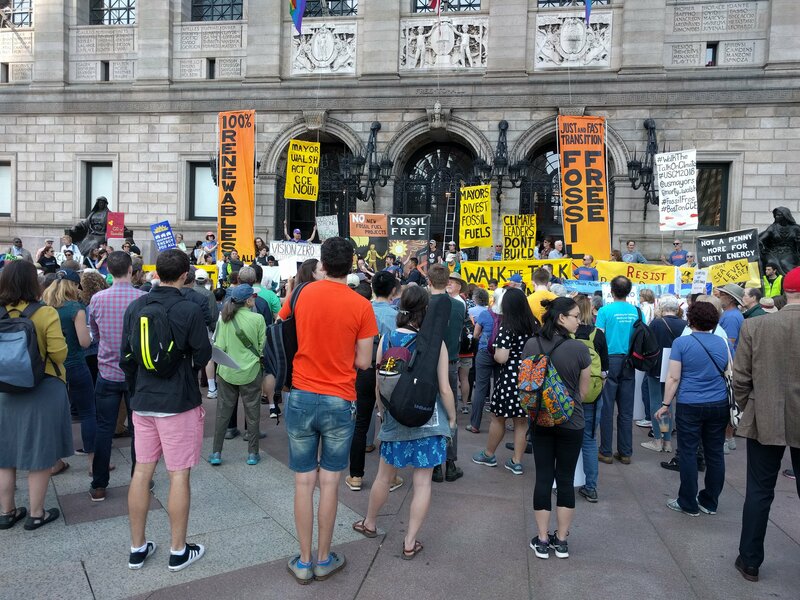 ...and to Ask Mayors to "Walk the Talk on Climate"
Last Friday, members of MI's Climate & Environment team joined hundreds of other activists in Copley Square where the U.S. Conference of Mayors was holding its annual meeting. The group asked Mayor Marty Walsh to "walk the talk" and take more aggressive action on climate change. 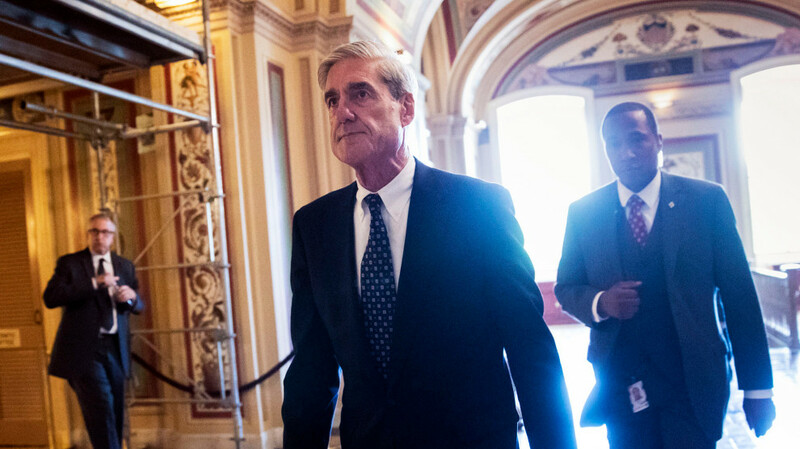 Special Counsel Robert Mueller's investigation into Russia's interference in the 2016 presidential election has now been going on for just over a year. The President's tweets about the investigation often dominate the news cycle, making it hard to focus on what the investigation has actually accomplished. Test your knowledge of the investigation with this quiz, then check out some of these articles and websites for more information. Urge MA Legislators to take action to protect immigrants and keep families together. Meet outside near the State House Steps. At 11:00, the group will enter the State House together. 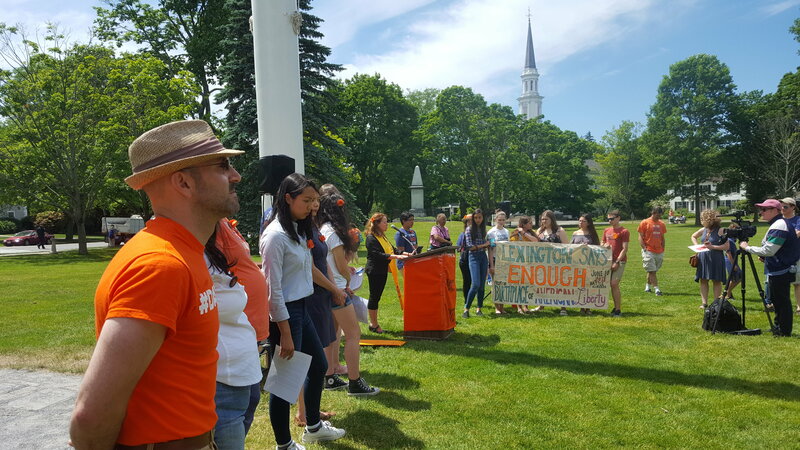 Some people will join MIRA to lobby, the rest will sing together and march through the State House to deliver a letter to House Speaker DeLeo and Governor Baker. More info here; sponsored by the Safe Communities Coalition. Join us as we work on our strategy to highlight healthcare issues for the 2018 midterms. This includes writing fact sheets, updating our website, texting with Move-On, and reaching out to the MI elections team. Join us to get updates on all five of our campaigns, hear where things stand after the final primaries, and learn what's needed in each race. We are looking forward to supporting Dan McCready a Marine veteran and small business owner in North Caroline's 9th Congressional District. You can learn more about Dan here . We have great news! Both Dan McCready and Chrissy Houlahan will be in town on Tuesday, June 19th and we are hosting a breakfast fundraiser for them in Lexington. We hope you can join us and please invite friends and family. RSVP using this link. Join us at June's MI Book Club meeting when we'll be discussing White Working Class by Joan C. WIlliams. Use this link to RSVP for the meeting, suggest books to read, or help us decide which books to discuss in the fall. New members are always welcome. 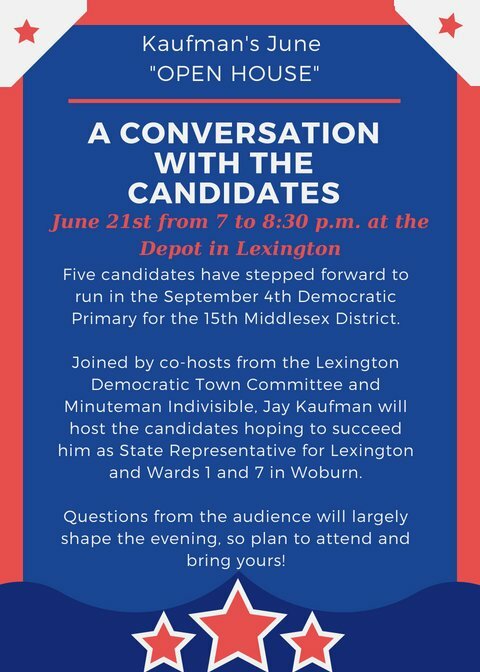 As part of his public policy forum, Open House, Representative Jay Kaufman is hosting a Meet the Candidates evening and Minuteman Indivisible is proud to be a cohost. Hear the five candidates who’ve qualified for the Democratic primary for the 15th Middlesex District explain their positions and answer audience questions. This forum will allow the candidates running for state representative in the 15th Middlesex district to make a statement and answer questions about how they would use their position in the State House to further plans for a clean energy future and a state that is ready for climate change. Doors open at 6:30 PM. See this link for more details. 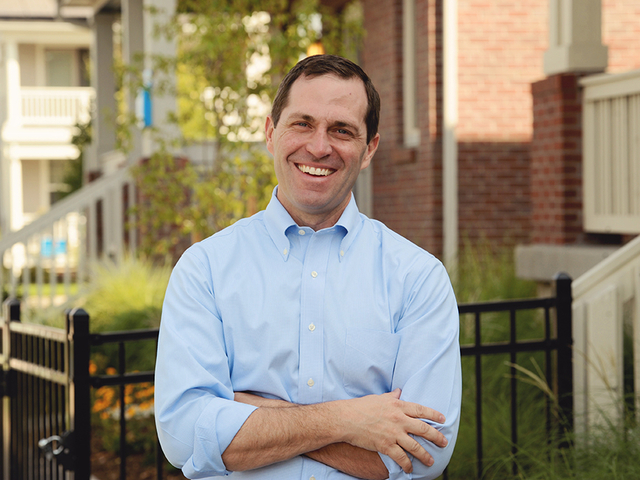 Continuing their series of up-close-and-personal fundraising events for flip-the-House candidates, Force Multiplier (FM) invites you to join them to meet two Democratic contenders: Army veteran Jason Crow, running in Colorado’s 6th Congressional District and Angie Craig in a rematch of the close 2016 race in Minnesota’s 2nd District. Both are dynamic, accomplished individuals who are challenging vulnerable GOP incumbents in competitive House races. Each will speak briefly, take questions and then mingle with the guests. The suggested contribution to attend is $100. You can contribute here and divide your contribution between the candidates in any way you like. Funds go directly to the candidates and your receipt doubles as an RSVP. Donating online eliminates the need to fill out separate contribution forms at the door. 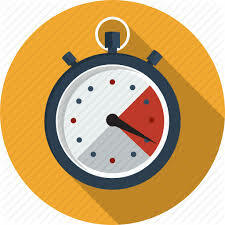 The candidates may arrive at different times, so plan to arrive promptly, hear both talks, and get a chance to connect one-to-one afterwards. Swing Left is partnering with Indivisible MA to kickoff the 2018 campaign to keep NH Blue. 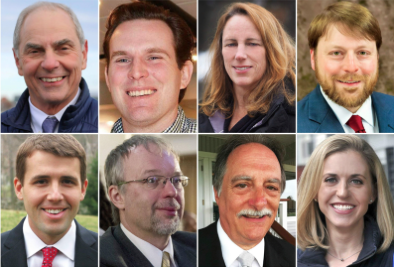 Join hosts Tony Mack, Michael Ansara, Barney Arnold, Gene Martin, Helena Berbano, Kim Rosenfield, Lisa Kolarik, Steve Krugman, Ed Witham, Mark Dyen, Walter Kasell, Mel Petty, and Susan Labandibar at a Greater Boston Flip the House NH-01 Campaign Kickoff. Meet NH-01 Democratic candidates, sign up to host a Blue Barbecue this summer, and hear from grassroots organizers on the ground in NH. RSVP using this link.